Growing up with a PhD chemist as a father, I always tried to be a good scholar of the scientific arts. Throughout high school, I took “enriched” biology and chemistry classes in an attempt to impress him. However, as genuine as my attempts were, I ended up doing more harm than good — I was in way over my head. Asking him for help with my homework almost always ended in a shouting match. “Because I’m not a freakin’ science genius, that’s why!” I’d shout, slamming my book and running off in a tizzy. And although we may not recognize it as such, baking is a form of chemistry. It relies on the interaction of various ingredients and the way they behave with each other. It’s also very sensitive — flub a measurement and your tasty experiment is screwed. In the home kitchen, there are two kinds of people — cooks and bakers. For cooks, recipes are simply a guide to the final destination. For bakers on the other hand, recipes provide a precise roadmap. I consider myself to be pretty good at both. And luckily, I’m a lot better at baking than I ever was at chemistry. Well, “real” chemistry, anyway. This almost makes me feel better about the shouting matches I had with my dad, the exams I nearly failed, and the Bunsen burner I couldn’t figure out how to light. So, I guess my dad’s attempts to whip me into chemistry shape didn’t completely fall by the wayside. I can certainly whip up a mean baked good. And so can these folks, who I’d like to give a little link love to today. They’re seriously schooling me in the baking department and I’ve been inspired by their creations. I dare you not to have sugary daydreams about these desserts — they’re amazing! 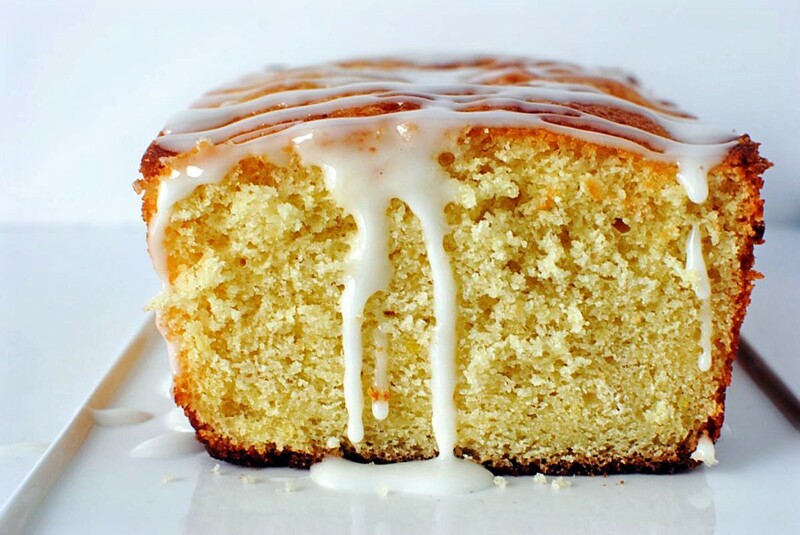 Doused in lemon syrup and topped with lemon glaze, this beautiful loaf can pass as a dessert or breakfast. I like that. Look at this! It’s beyond amazing. I am — for once — at a loss for words. Fudge? Yes. Pretzels. Yes. Peanut butter? Yes. Need I say more? The perfect flavors, plus the pretzel nugget on top is super cute. Yep, they went there. 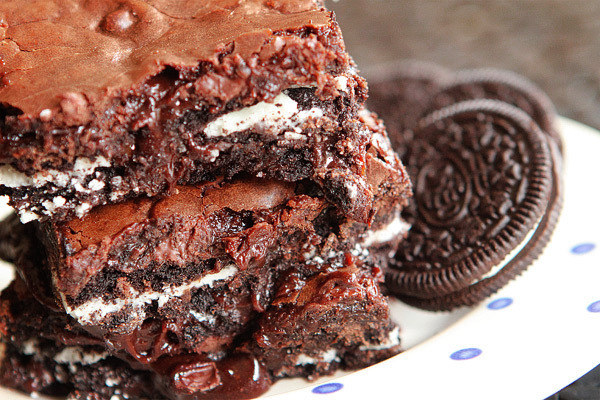 There are Oreos baked into these brownies. Oreos! Brilliant! So, which are you? A better cook or a better baker? What have you seen on the interwebs lately that inspired you? Please share! Thanks so much for including my cake in this gorgeous post! I love your blog! Thanks so much for the link lurve! That is super sweet and I’m loving all this food blogger to food blogger support. You are awesome. pastry class I’ll be taking for school this Spring will help me there. Yikes, I’ve gone and written a novel again. This is a serious ailment of mine. Excusey! I’m definitely a cook and not a baker. I always try to substitute ingredients and in cooking it works really well, but not so much for baking. I hope to be good at both like you with more practice! I’m a cook. I never measure anything. In fact, when I publish recipes on my blog, I always put the disclaimer that these are approximate measurements. I do like to bake and stick to the measurements on those recipes. 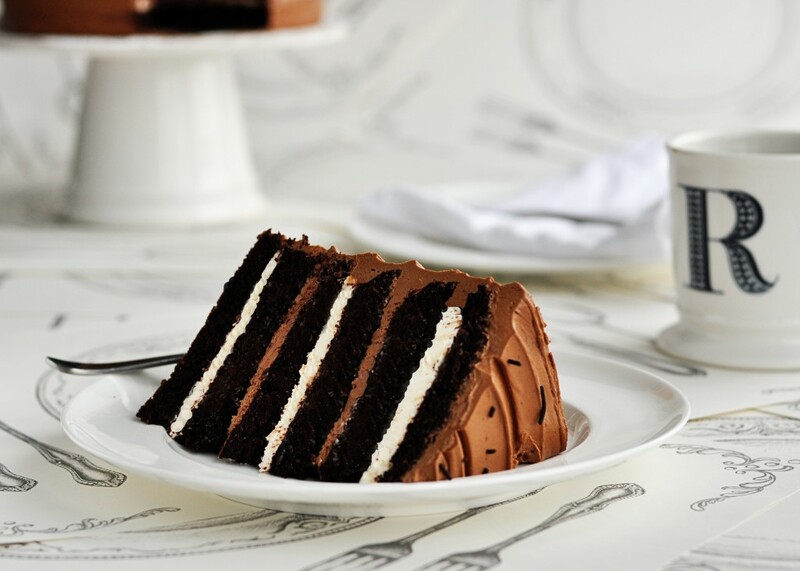 That Oreo cake looks incredible, by the way. 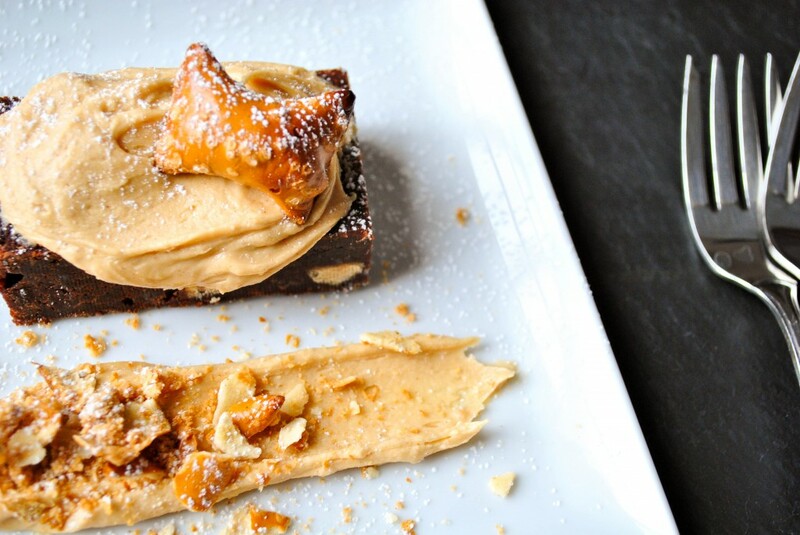 A blog about your dad and dessert? I can stop reading your blog now.